We’re not endorsing you go ahead and try mods like a turbocharger and performance exhaust on your Toyota. If your car is under warranty, you seriously run the risk of compromising your warranty with mods that alter the mechanics of your car. To be safe, always look for original equipment manufactured accessories to fit on your car! 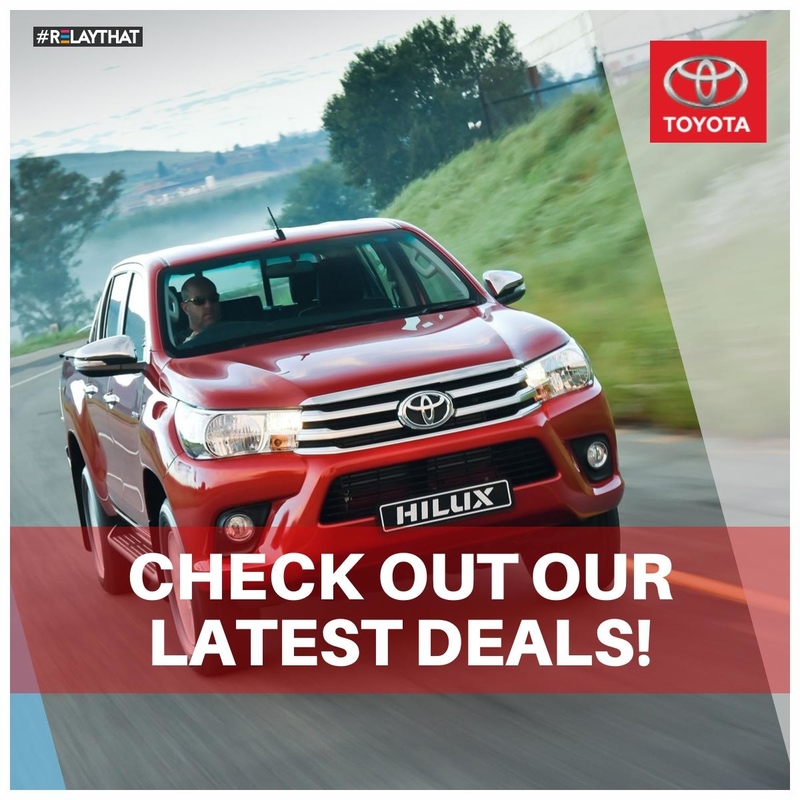 Some of the TRD accessories mentioned in this post are not available in South Africa. ome people prefer keeping their cars stock standard. 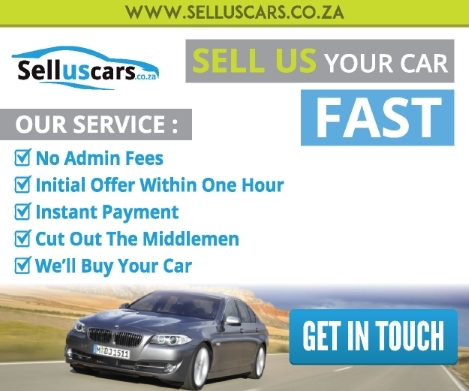 There are real advantages to this attitude, not the least that at resale, you’d probably get more for your car. But if you prefer to stamp your personality onto your car, there are many options available. Two favourite destinations for car tinkerers in Durban are Max Motorport and Autostyle. Not all mods are legal though, and some are downright dangerous. Unless you know what you’re doing, stick to these safe suggestions below. And remember, if you have a car that’s still under factory warranty, CHECK with your dealer before messing with anything critical like your engine or suspension! Aerodynamics is one of the most important factors when it comes to how a car handles, feels, and performs—and it can also have a pretty big impact on how a car looks, too. 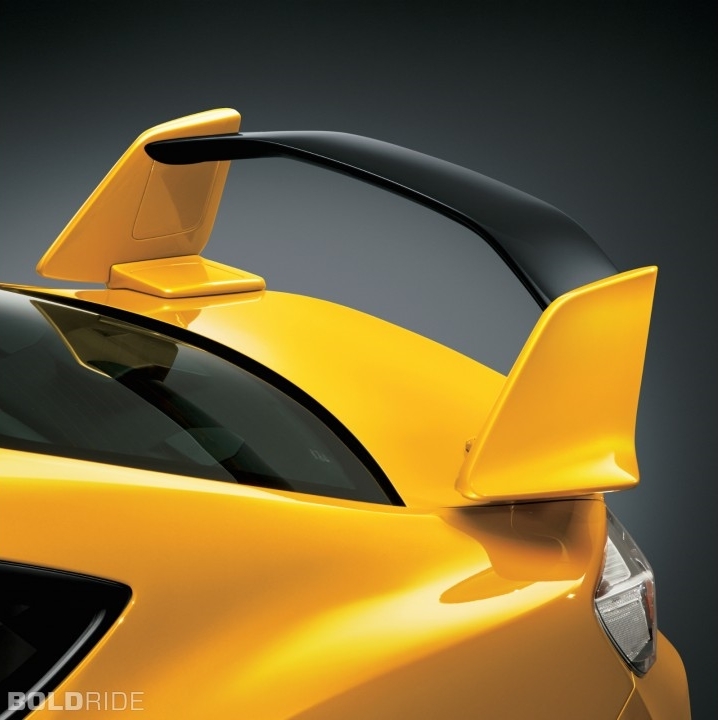 That’s why aerodynamic upgrade kits, or aero-kits, are incredibly popular with car enthusiasts. An aero-kit can make your car look like a sleek and stealthy dragster, and depending on how you drive (and what you drive) you may notice significant improvements in key performance areas like top speed, cornering speed, and handling. To capture the aggressive look and performance of a wind tunnel tested racecar, go for a full body aero-kit that includes air dams, skirts, diffusers, and a rear spoiler. And if you’re thinking of having your car painted or wrapped, have the aero-kit installed first so the new body panels match the rest of your vehicle. Performance exhausts provide a double benefit. First, it gives your car extra power. 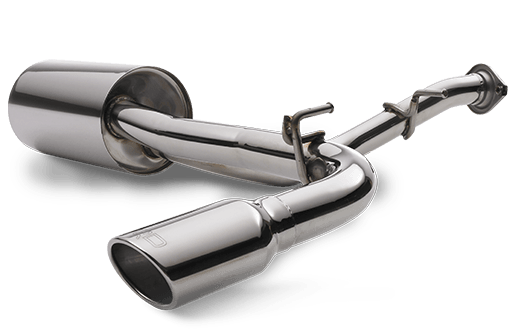 Because performance exhaust systems eliminate the restrictive bends commonly found in stock exhaust systems, they greatly improve exhaust flow which means increased kilowatts and torque. A fringe benefit is your car will now sound like a GTR! Ok, maybe that’s pushing it. But you can expect a few decibels upgrade from the stock exhaust. Here again, be responsible folks. Always opt for genuine brand accessories, as they’re manufactured for optimal performance and reliability. The pic above is a genuine TRD performance exhaust. You can check out the full range of TRD performance accessories here. Another quick and easy upgrade to improve performance on your car – is the air intake. When you add a TRD Performance Air Intake System to your car you get all the benefits of free-flowing colder air. These systems have been dyno tested to deliver enhanced power and torque for superior acceleration, plus more pulling power. Cold air is denser, which results in more oxygen per volume. This oxygen rich air packs more punch giving your engine more power. Not only does the Performance Air Intake System send colder, more oxygen dense, air into the engine’s combustion chamber, it also increases overall airflow. The denser high-flowing air gives your engine the oxygen it needs for maximum power output and efficiency. Well this mod may be street-legal, but you definitely want to check with your manufacturer on the effect it will have on your warranty. Turbochargers and superchargers are known as “forced induction systems,” meaning they compress the air flowing into the engine to provide more power. You may have noticed the trend in new cars being released with smaller and smaller engine capacities. This is due to the use of a forced induction system like a turbocharger. 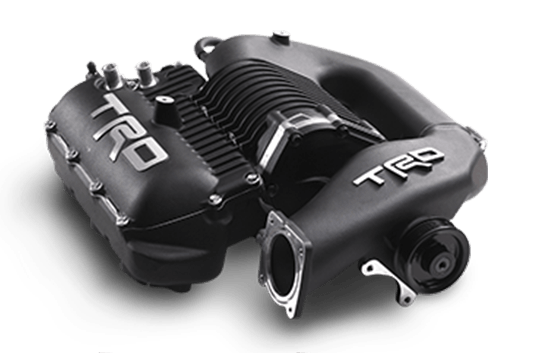 Some forced induction systems can boost a car’s horsepower by as much as 50% or more, which means a turbocharger or supercharger can transform a super mild car into a super wild one in an instant. In simple terms, a turbocharger is a miniature compressor. An engine’s spent exhaust gases enter the turbo, which spins one side of a turbine. The other side of the turbine force-feeds the engine with air, so that more oxygen can be burnt with the fuel. Importantly, unless you want to fork out a good few thousands to repair your damaged turbo, ensure you follow a few simple driving guidelines. For a more thorough article on caring for your turbo, read this. Watch this short video by Jason Lambert, a mechanical engineer at TRD USA, discussing the stringent testing that their superchargers undergo. 1. When starting your car from cold, do not race the engine immediately from idle. Allow between 5-10 seconds for the engine oil to reach the turbocharger. 2. Never operate the engine under full power until the engine oil has warmed thoroughly. When the lubricant is cold, it remains thick and gloopy and cannot lubricate the turbocharger effectively, until warmed and thinned. 3. Old and tired oil cannot protect the turbocharger adequately. Therefore, do not extend the oil change interval beyond that recommended by the vehicle manufacturer. 4. Low-grade oil cannot protect the turbocharger adequately. Therefore, always use oil of not only the correct viscosity but also to the correct quality API specification (the details are noted within the vehicle handbook and also on the sides of canisters). 5. A turbocharger works its hardest during sustained high speeds. After a long motorway drive, it is possible that a turbocharger might be glowing orangey-red hot. Shutting the engine off immediately after a long run, such as when stopping at a motorway service station, might cause severe damage, because the internal turbine will not have slowed down sufficiently, plus the extreme heat generated may not been given sufficient opportunity to dissipate. Always allow the engine to idle for at least 30 seconds, prior to switching off the ignition. If your car is equipped with ‘stop-start’ technology, disable it in this instance, should it be switchable. 6. Never ‘blip’ the throttle, prior to switching off the ignition. This makes the turbocharger’s turbines accelerate but, when the ignition is cut, you starve the still-rotating turbine of lubricant. This can damage the bearings and increases the risk of premature failure substantially. Then it provides a little extra privacy. And lastly, it adds a layer of protection to your car’s interior, provided the film is UV protection rated. For instance, we use the LLumar brand. Their window film is proven to reduce interior surface temperatures significantly. By blocking more than 99% of harmful ultraviolet (UV) rays, LLumar window tint protects passengers from skin damage and the interior of your vehicle from fading and cracking. 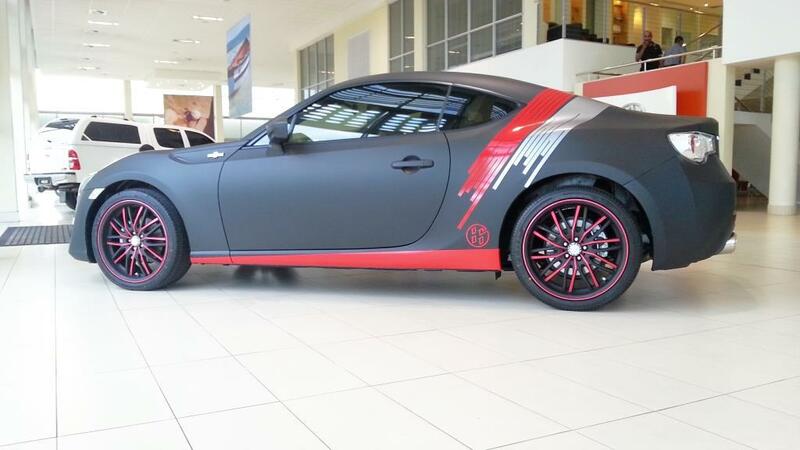 For example, we took a standard Toyota 86 and wrapped it in matte black vinyl (above). The car was a real showstopper. We eventually sold it, but up to this day, it was one of our most famous experiments! So there you have it! Use the info wisely. Always check with the local traffic authorities on the legality of mods like a performance exhaust, which can cause your car to exceed the maximum noise levels. Be responsible when accessorising your car. And when in doubt, call your dealer to check on the impact it will have on the factory warranty. Other than that – have fun!